Alright look…I have nothing against Michigan State’s Tom Izzo and I’ll admit that this is for a great cause but I can not stop thinking that Broadway and Izzo mixed together will result in burning couches and riots. Tickets are now on sale for Izzo Goes To Broadway, a “Broadway-style performance featuring Tom and Lupe Izzo and six accomplished Broadway performers.” It will be held next month and proceeds go to the American Cancer Society. All Izzo wants is to be the Elaine Page of basketball. Let’s pray that there isn’t dancing. I can’t wait for Pitino and Sypher in Swindler on the Roof. 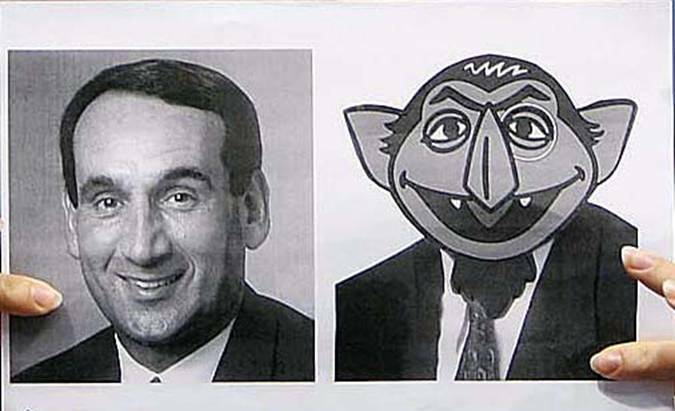 For the record Coach K is the lead in Durham community theater’s production of Rats. If this works, can “Bob Knight Goes to the Psycho Ward” be far behind? For some reason a lot of people claim Duke gets preferred treatment from the officials at times. Like with this video above. Sure freshman guard Elliot Williams took a few extra steps…but 12? I’m not sure about that. I mean one can go six feet without actually dribbling the ball in less than 12 steps, right? Some call it an “unfair advantage” and say things like this violates the “spirit of the game” but this is just basketball done the Blue Devil way. Ever watch a NBA game? You can go about 30 steps without getting called. Besides, Tyler Hansbrough calls that “gritty”. Honestly there’s no question he traveled however give the guy some credit, he’s bringing back the moonwalk. Just like I said yesterday…Duke would fall in a relative short time after achieving the #1 ranking in NCAA basketball. I just finished watching Wake Forest beat Duke in what was perhaps the best game I’ve seen all season. 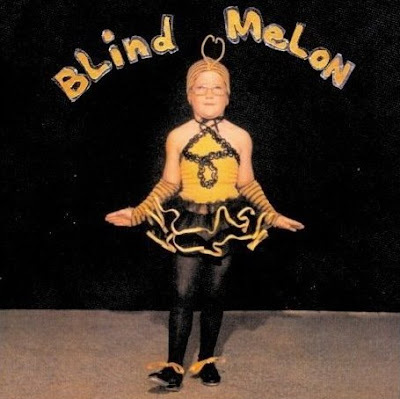 The final score was 70-68 and the Wake Forest student section reminds me of that chubby girl in that Blind Melon video…God I hate that song. Sure we’ve all traveled down this path before. In the ’08 season Duke went 22-1 before they hit a bad stretch of loses in February and March. Before that in ’07 Duke started out 13-1 and then the season fell apart. In 2006 (the last time they ranked #1) Duke was on fire going a blistering 27-1 then they met LSU and that was that. So maybe this Duke team is different or maybe not so please forgive me for having doubts Coach K. After all it feels like we have all seen this movie before.